Asphalt shingles or one of the most popular roofing options for homeowners primarily due to their extreme affordability and easy installation. There are many factors you should take into consideration when making a large and permanent investment like you will with new or replacement roofing. There are plenty of pros and cons to compare when it comes to choosing synthetic or natural roofing like cedar shakes. The biggest reason why these shingles are so popular is because of how affordable they are compared to other roofing materials. They are extremely durable also and cant protect your home for up to 15 years if properly installed. Some other options like Spanish tiles can last up to 70 years but are very expensive and also dependent on the style of the structure and surroundings. While not as durable and long-lasting as some other options like clay tiles, slate or metal, these still provide adequate protection. 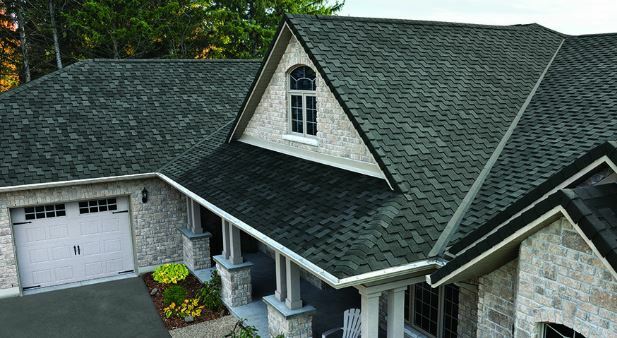 There are two different types of asphalt shingles, organic and fiberglass. Organic Asphalt Shingles: Organic shingles are made with a matte fabric material from wood and recycled paper. Fiberglass Asphalt Shingles: These are made with a thin layer of fiberglass material. Both of these options come in 3-tab, architectural and premium styles. These are also popular because of how easy they are to install, significantly lowering replacement or installation costs. The primary cons to these shingles come down mostly to the owners’rs preference in material quality and their diminishing effectiveness over time. Asphalt shingles perform poorly in extreme heat and are subject to extreme temperature fluctuations. These can also easily become damaged if installed in freezing temperatures, like cracking. These are also not an environmentally friendly roofing option, so don’t expect any Government roofing rebates. If you are considering a new or replacement roof then contact Beckworth LLC for a free estimate. We will be happy to cover the options with you to select the best choice for your home, lifestyle, and budget.